Here is our new pendant light. Here is our new mini mudroom. And just this weekend we finished our new bedside lights. I was ready to do something new next to our bed. I didn’t want the usual lamp/lampshade mix, as I didn’t feel it fit with the look I am going for. 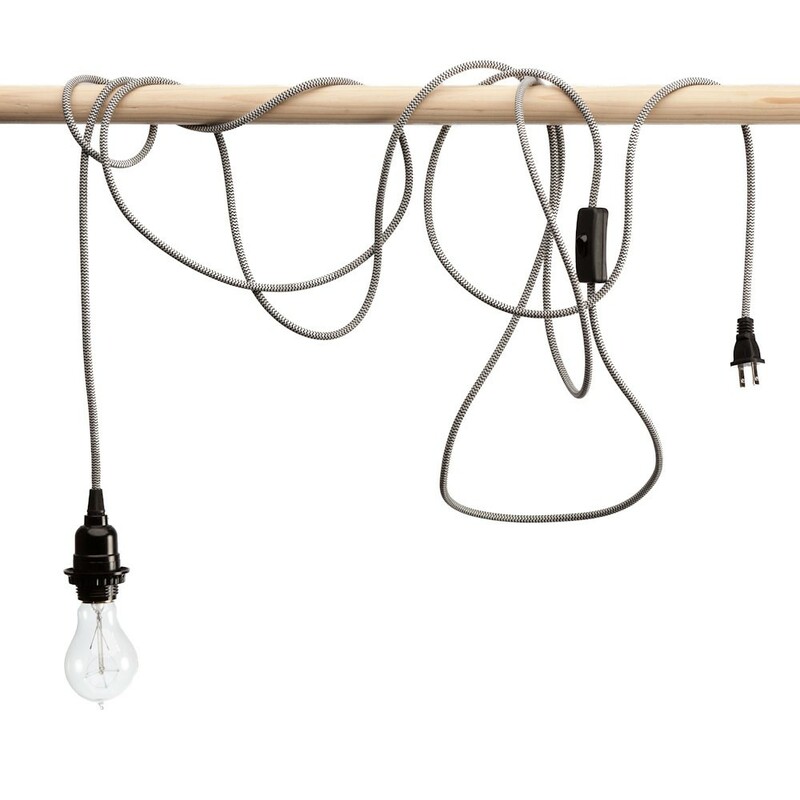 Our ‘theme’ throughout the house has been exposed bulbs and it just felt right to stick with this idea. I’ve also had about 8 of these brackets just laying around unused just waiting for a project. My husband and I got to doing some research, found our inspiration and decided on our new bedside lights. 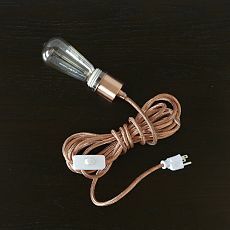 I wanted a pendant light cord kit that wasn’t just a boring black or white,but that was all that I was finding. I fell upon this set from West Elm though and loved it, but it just didn’t feel like it was going to be right. So, I just kept searching. While cruising on Pinterest I had seen a few people pin the perfect cord kit that was the black and white ‘striped’ from our inspiration. It was from Cost Plus and no longer was available…sad sad moment when I realized that! I even drove to my local store to see if they had any left in stock…no go! My search continued…I don’t like giving up when I just know a product has to be out there somewhere. 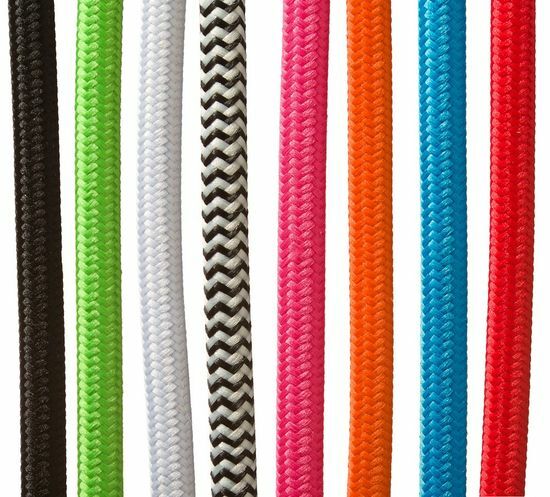 Luckily, through some persons pin in a very lengthy search I found the perfect company who makes these great cord kits. 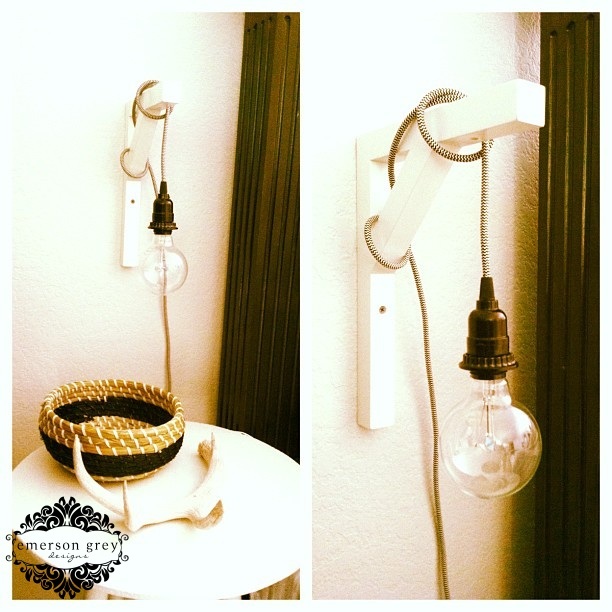 World Effect pendant cord kit in black and white was exactly what I was looking for. And even better, for future clients these cord kits come in some amazing other colors. You must visit the World Effect site and read about the story behind this great company. Now that my must have items had been found it was just getting the assembly done. And one of the best parts about this new bedside light was how easy it was to accomplish and the price tag actually came to be less then any of the lamps I was even considering. Love that!! !